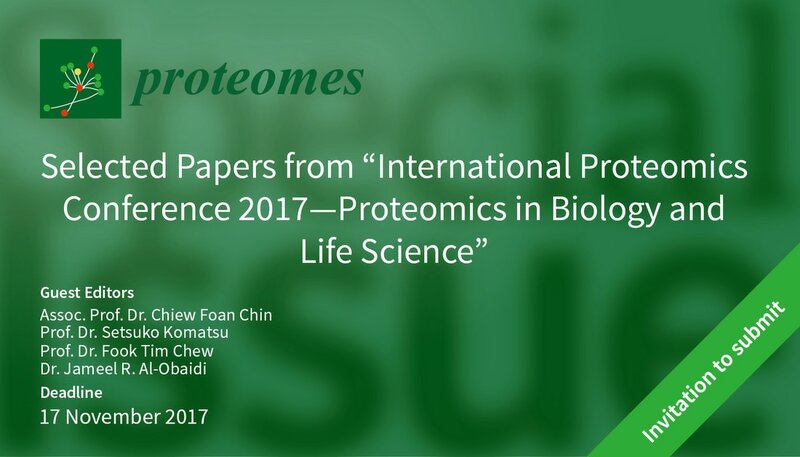 We are pleased to announce that the first International Proteomics Conference to be held in Malaysia from 15-17th of August 2017. It is hosted by the Malaysian Agricultural Proteomics Society (MAPS) and co-organised by council members from Asia Oceania Agricultural Proteomics Organization (AOAPO). 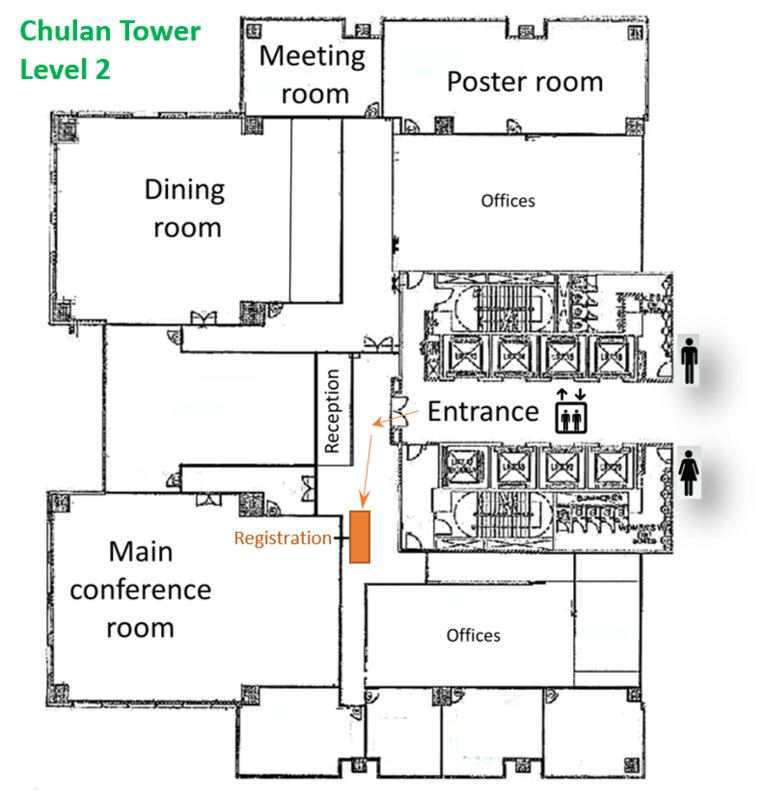 The venue for the conference will be at the Kuala Lumpur Teaching Centre, UNMC, Chulan Tower, Malaysia. 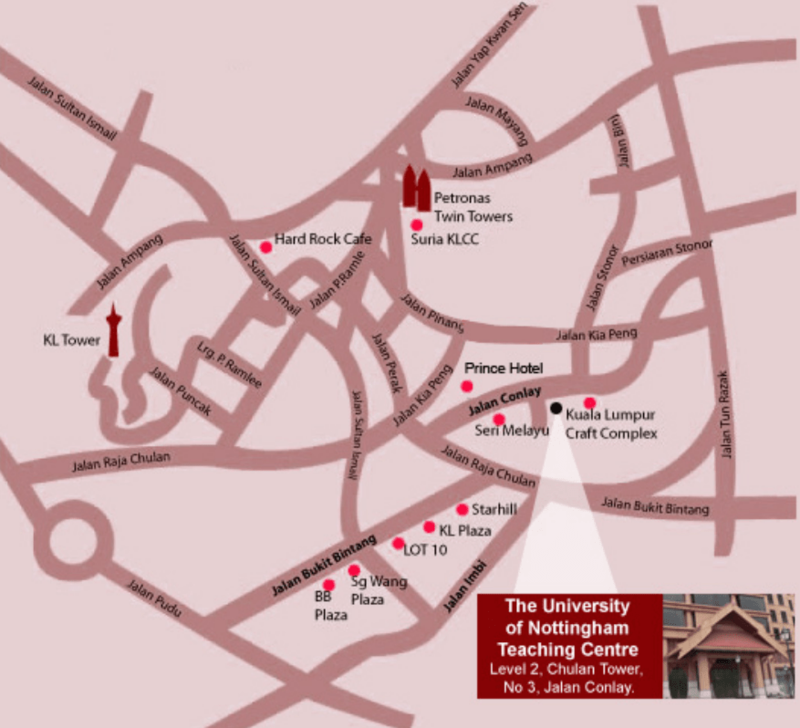 The Kuala Lumpur Teaching Centre (KLTC) is located in Chulan Tower (Level 2) on Jalan Conlay within Kuala Lumpur city centre which is easily accessible by car or public transports. The drive from KLIA to the KLTC should take approximately 50-60 minutes. Parking facilities in the Chulan Tower cost RM5 for the first hour and RM3 for each subsequent hour. Another option is to use the public car park at the Handicraft Centre which is located next to the Royal Chulan Hotel. Taxis are readily available in Kuala Lumpur. A taxi from KL sentral to the KLTC should cost approximately MYR10-20 for ~20 min ride depending on traffic. Cheaper if using Uber or Grab. There are two monorail stations within easy walking distance of the KLTC, Raja Chulan (11 min) and Bukit Bintang (15 min). The monorail service runs between KL Sentral Station and Titiwangsa. From KL Sentral, it takes 14 min to Bukit Bintang (MYR2.50) or 16 min to arrive at Raja Chulan (MYR2.80). ​From KL Sentral, you can take the MRT from Muzium Negara station, 13 min to arrive at Bukit Bintang (SBK18A) MRT station (MYR1.80). It has the longest (20 m) escalator among all the MRT stations in KL. It takes ~14 min walk from Bukit Bintang to Chulan Tower. There are 2 Kuala Lumpur airports, namely KLIA (most airlines) and KLIA2 (mainly AirAsia). You have the options of taking taxi (Uber and Grab are also available), airport bus or ERL to KL Sentral. Transit time varies from 28 min to 1 h 20 min depending on the mode of travel and traffic condition. 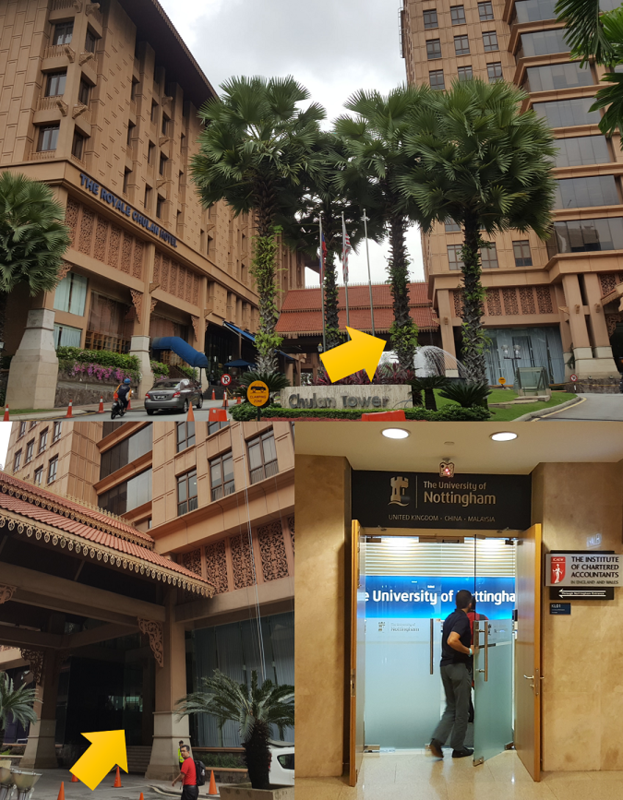 From KL Sentral, you can follow the direction described above to arrive at the venue of conference. ​Limited number of free seat on shuttle van from KLIA/KLIA2 to Royale Chulan Hotel is available on 14 August at 12pm and 6.30pm; transport from Royale Chulan Hotel to KLIA/KLIA2 is available on 17 August 5pm and 18 August 12pm. To enjoy this free shuttle service, please contact the conference secretariat with your flight details. First-come first-served depending on availability.